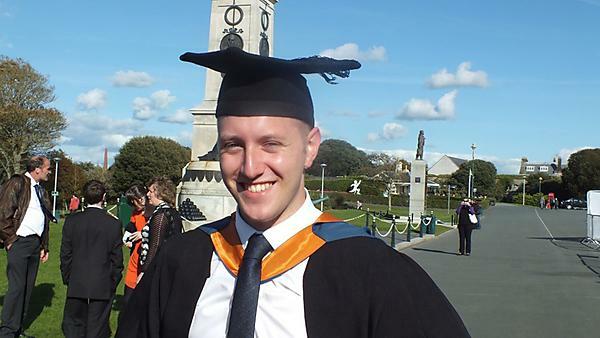 After graduating, I took a post as an Energy Data Analyst before taking a post in the Centre for Biostatistics, Bioinformatics and Biomarkers at Plymouth University as a Training Fellow in Statistics. As part of this role I undertook a part-time MSc in Statistics. Since then I have moved to Mango Solutions where I am a Data Science Consultant. This role is very varied and I do everything from teaching R or general data science skills to developing web applications and undertaking bespoke analysis. I am always trying to learn new skills to better my career and compete against my peers; whether this is a new statistical or machine learning algorithm or a new programming language. Releasing my first R package onto the CRAN repository was definitely a highlight and also travelling to many places both home and broad as part of my work to teach R and attend conferences. I would have definitely done a placement year. I think the value a placement year adds to your CV can be the difference to securing a good job and securing a very good job straight out of university. It really helps you to stand out amongst the thousands of other graduates. Focus and study hard in the first year – even though it doesn’t count towards the final grade it really helps to create those building blocks for the later modules. The location was really key for me as it enabled me to live close to family. How did we support you in your studies? If you used any support services whilst at the university how did they enable you to get to where you are today (e.g. Careers & Employability Service, library service, LabPlus, counselling, learning development service, PALS)? SUM:UP was a really good resource when struggling with coursework or exams but also the Careers team really helped me to create a great looking CV. I went to university not particularly keen on statistics but the enthusiasm of the lecturers really helped me to find enjoyment in the subject and it has now created an exciting career for me. I always enjoyed the satisfaction of completing a challenging piece of work, be it a difficult mathematical proof or a piece of code. There is no better feeling than seeing your hard work pay off with big results. The ability to go away and study something you may never have seen before and apply it in a real world situation is a really important skill that I learned as a student at Plymouth. The standard of teaching at Plymouth is very high and the lecturers are friendly and welcoming. The city is a great place to live and the campus is in a fantastic location with everything a student could need nearby.